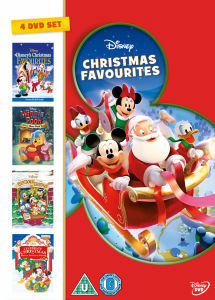 Welcome to our Christmas gift ideas page! Packed full of things for those who love Christmas, we have found lots of Christmas related goods, Christmas facts, Christmas gifts and Christmas fun for you. 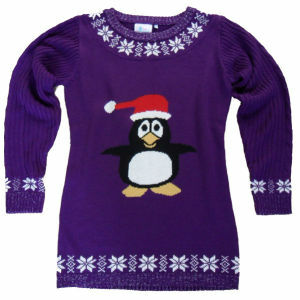 From Christmas jewellery to Christmas clothing, you can kit yourself out in Christmas merchandise or buy a Christmas present for a Christmas obsessed friend. From Pandora is this stunning bracelet set comprising of a classic silver bracelet, a happy red enamel Santa Claus and a red bead adorned in glistening cubic zirconia. 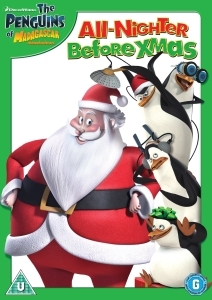 The Penguins of Madagascar are back in their first-ever Christmas special, The All-Nighter Before Xmas. The zoo is closed for Christmas Eve and the Penguins are on a very merry mission to throw a Kids-mas celebration for the littlest zoosters. The Baby Reindeer creates a beautiful winter atmosphere. It wears a red necklace with metal stars enhanced with Light Rose crystal chatons and white epoxy. With Crystal Moonlight ears and Platinum White crystal horns, this is a perfect Christmas gift or special treat for yourself! Decoration object. Not a toy. Not suitable for children under 15. 3m lead length. Requires LED bulb (included). Mains adaptor. Suitable for indoor use. Transformer must be placed indoors. Size H51cm, W44cm, D8cm. White base roll sleeve t-shirt with gold foil Christmas Tie on the front. Whimsical designs and high-quality rubber make these stamps a must-have for any stamper! Each one comes a 1/8-inch thick piece of repositionable cling foam and can be used with any acrylic block (not included). This package contains Snowman & Penguins: one cling rubber stamp in a 6-1/2x4 inch package. Made in USA. A gorgeous Puzzleball from Ravensburger, featuring a festive scene with bright colours and charming details. With 240 pieces that fit together perfectly, this lovely jigsaw puzzle is perfect for adults and children alike. This set of two creations captures the festive mood. One Happy Duck has chosen a Santa outfit with hat and scarf, while the other sports brown lacquered reindeer horns with a red textile necklace and silver metal bell. They both shimmer in Light Topaz crystal. Decoration object. Not a toy. Not suitable for children under 15. Santa knows if you have been good or bad, so this year be extra good and get him this incredible value Santa Suit. It is a pullover jacket, trousers, hat, belt, a pair of semi-boot tops and a beard. This red felt stocking from our own range has an applique Santa and snowman design with a 4 x 6 inch photo frame to add a personal touch. Christmas isn't just about delicious juicy meats. You need home-grown Carrots, Cauliflower & Cabbage! Biodegradable and hand-illustrated compost cups. Grow your greens or you won't get any pudding. 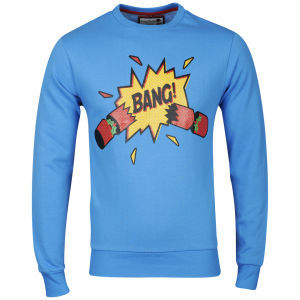 Christmas is the season to be jolly, come out with a bang with this Xmas Branding Men's Bang Fleece, featuring a cartoon cracker illustration, long sleeves, crew neckline, ribbed collar, hem and cuffs. Giant Father Christmas Airwalker balloon delivered on the morning of you choice to any UK address. One THORNTON and FRANCE Large Red Hat Box 230gm LILY O'BRIENS Dessert Collection 200gm Assorted White Chocolate Strawberries 95gm MELTING POT Honeycomb & Chocolate Fudge Pouch 150gm CAMPBELLS Gold Collection All Butter Shortbread 500gm.Plus much more! There are loads of ways to say “Happy Christmas”, like cards, chocolates or just plain out saying it. Well how about a new way – how about delivering a unique Christmas wish to someone special with this Personalised Teddy in a Tin? This classic Fair Isle sweater by Urban exclusive label Shore Leave is made from an easy-care fabric; featuring a winter motif, regular fit and border pattern to the neck, cuffs and hem. Design: Geek Christmas. Shirtcity standard T-shirt for men, but it is also popular as a unisex product. The Pawsie Christmas Jumper in grey will keep your dog cosy and warm, whilst helping them to get into the festive spirit! Made from soft cotton and polyester, it's perfect for snuggles on the sofa or winter walkies in the park. This stylish Merry Christmas Pen and Box set makes a great token gift for friends, family or teachers! These Christmas baubles from Debenhams come in blue, green and red with cartoon snowman, penguin and reindeer designs, perfect for adding a fun touch to the tree! The Women's Christmas Pyjamas from Sleepwear By Tom Franks is a two piece pyjama set which includes a top and bottoms. 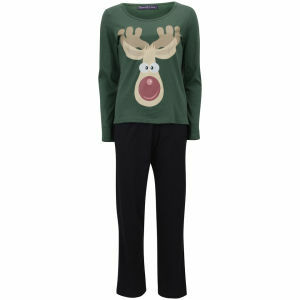 The green top features long sleeves, a scoop neckline and festive Rudolf print to the front complete with full length trousers with an elasticated waist to secure a comfortable fit. Remember to visit our blog for for even more gossip and facts about christmas! The cute Santa figure is decorated with a red enamel coat, and his black enamel belt. This gorgeous bead would make the perfect gift during this festive season. The poster has a very modern feel with its bright vibrant, bold colours and stylish simple design! The pack contains polyfoam tree costume and present shaped shoe covers. The tree costume simply pulls over the head, . One size costume designed to fit most adults.